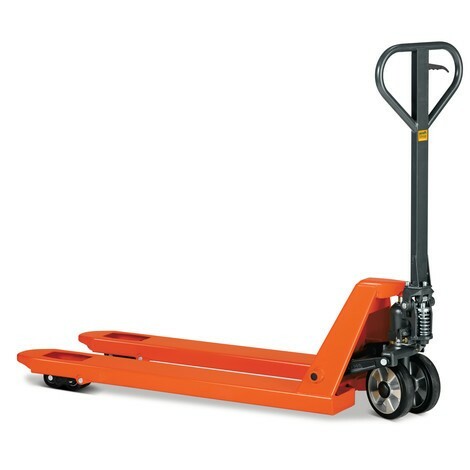 This pallet truck from our BASIC series combines quality with an affordable price. 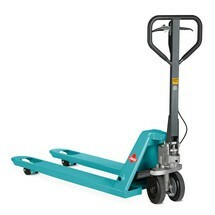 The BASIC hand pallet truck is cost-effective and reliable. The lift hydraulics are maintenance-free, meaning that you will not incur any additional costs. 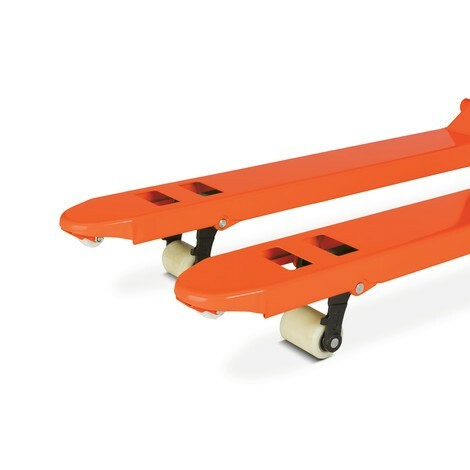 Thanks to the 210° steering angle, the pallet truck is highly agile and easy to manoeuvre. 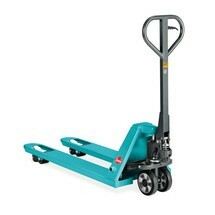 The large handle enables straightforward manual lifting and moving of your pallets. The hand lever allows you to lower the load with fully variable precision. The steel frame is robust and torsion-free, meaning that it retains its shape even when subjected to heavy loads. 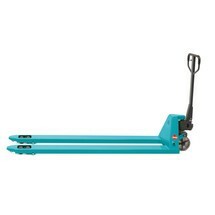 Entry and exit rollers ensure easy pallet insertion. Depending on the ground conditions and your specific application, you can choose between different tyre materials and roller configurations. 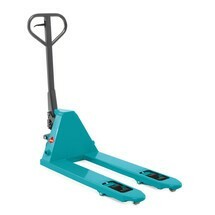 We offer the BASIC hand pallet truck with a capacity of 2000 or 2500 kg. 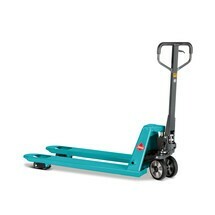 Order the hand pallet truck from our shop in your chosen configuration.